Paul Simon’s 1986 album Graceland is often talked of as being one of the greatest pop albums of all time (by both Rolling Stone and Time Magazine, as well as others). 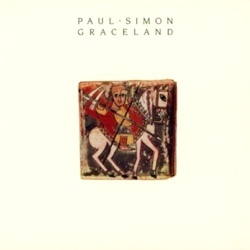 Much of it was recorded in South Africa, with South African musicians, and showcases the cross-pollination of Paul’s pop-folk roots (beginning with his days in Simon & Garfunkel) with the irresistible rhythms of African drums and grooves. Read more about the album at its wiki or at the Rolling Stone/Time links above. Today’s Songblog track, “The Boy In The Bubble,” is about the first song on the album. Unlike many songwriters, when asked whether his music or his lyrics come first, Paul says his grooves come first (at least for the vast majority of his writing from the 1980’s onward). He very much writes by feel, coming up with rhythm patterns (frequently with the help of drummers/percussionists) that inspire chords that inspire structure, and then once he has a complete rhythm bed, then he begins to add lyrics, based on the inspiration of the groove. In fact, the Graceland album was the first time he developed this methodology to write his songs. The track would start with the drums, and the drums would imply a key, then we’d go to the guitar, compose a structure, and then I would improvise melodies hundreds and hundreds of times until I found a melody I liked. Words would sometimes come with the melody, sometimes they wouldn’t come for a long time. I have a book of images and phrases, lines that I keep. If there was a line that fit somewhere musically, I’d connect it up to whatever the story was, or begin the story with that line, almost like a skin graft. And that way, the song forms. It’s not preconceived. It’s much more me following the trail of the sound on the track and what my subconscious is stimulated to erupt. Q: Does your best work come from active, conscious thinking about what a song should say? A: No…not in my writing in recent years. I don’t consciously think about what a song should say. In fact, I consciously try *not* to think about what a song should say. And the most that I can do is say, “There’s a good line,” and the rhyming pattern, I don’t know, let me see how I will set up that line. And that’s the most I’ll do. To construct the first half of a thought that’s the set-up to the second half. So the first impression is that the sound of something is nice. You don’t have to think about what it means at all…and that’s really the way I write. Where there are a lot of different meanings that are available. Paul’s vocal is typical of his later style: it’s unremarkable. He doesn’t inject a lot of emotion. He sings almost the straight speech as if he’s reading from a teleprompter, set to musical notes. With the remarkable quantity of words he flies through, he lets the words tell the story, and his speech accompanies the groove by finding the natural rhythms of the text. What is the song about? No one knows. Even Paul himself doesn’t let on that it’s about any specific topic. 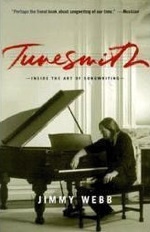 To him, it’s a collection of phrases that were born from what the music inspired. The internet is full of fan speculation (some of it quite insistent) that it’s about advances in technology (it certainly is, to a point), or about Severe Combined Immune Deficiency (SCID), or a medical case in 1984 about a baby that received a heart transplant from a baboon. Some find it uplifting, others find it depressingly cynical. I think Paul intentionally leaves the ambiguity there to let us interpret it as we feel. If he has a more specific inspiration, he doesn’t talk about it, preferring to let the art speak for itself. Simon sets up every resonance. Here, the African images — lasers in the jungle, a deathly desert wind, a baby with the baboon heart — are no way merely South African, because this is a song about “the way we look to us all.” Here the terrorist hides his bomb in a baby carriage and wires it to a radio in a world run by “a loose affiliation of millionaires and billionaires”; here a boy wants to live so much he seals himself off from that world in a plastic bubble. You can hardly tell the horrors from the miracles, they’re everywhere, and for a climax we have the rhetorical “and I believe” that precedes Simon’s final repetition of the long refrain…It sounds like real faith to me, and it cements our connection to all this ironic joy-amid-pain. Simon has done the near impossible — brought off a song about the human condition. Looking for “a shot of redemption,” he escapes his alienation without denying its continuing truth. Paul Simon’s “The Boy in the Bubble” is a surreal, chain-of-consciousness epic that fires idea after idea at us machine-gun style so that in the end the effect is almost pointillist. Cumulatively it is not unlike being bowled over by a tsunami. However, years earlier Simon wrote the gorgeous standard “Bridge Over Troubled Water,” which begins simply, “When you’re weary…” and ends “like a bridge over troubled water, I will ease your mind.” Amateur songwriters should learn the art of clarity before attempting a pell-mell dash in Mr. Simon’s adventurous footsteps. What stands out most to you about “The Boy In The Bubble”? Add your insight in the comments section below.